Psychoactive “bath salts” represent a relatively new drug of abuse combination that was placed in Schedule I in October 2011. Two common ingredients of bath salts include the cathinone analogs: mephedrone and methylenedioxypyrovalerone (MDPV). The mechanism of action of these synthetic cathinone analogs has not been well investigated. Because cathinone and methcathinone are known to act as releasing agents at the human dopamine transporter (hDAT), mephedrone and MDPV were investigated at hDAT expressed in Xenopus oocytes. 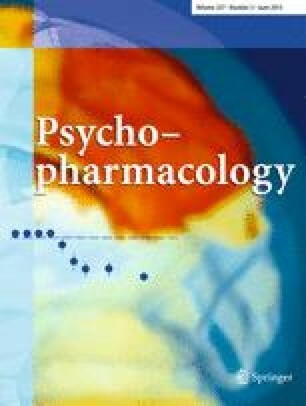 Whereas mephedrone was found to have the signature of a dopamine-releasing agent similar to methamphetamine or methcathinone, MDPV behaved as a cocaine-like reuptake inhibitor of dopamine. Mephedrone and MDPV produce opposite electrophysiological signatures through hDAT expressed in oocytes. Implications are that the combination (as found in bath salts) might produce effects similar to a combination of methamphetamine and cocaine. Presented at the 63rd Southeast Regional American Chemical Society meeting (Abstract 249), Richmond, VA, 26–29 October 2011. Presented at the 56th Annual meeting of the Biophysical Society (Abstract 1086-Plat), San Diego, CA, 24–28 February 2012. An erratum to this article can be found at http://dx.doi.org/10.1007/s00213-013-3056-2. This work was supported, in part, by PHS grant DA033930 and DA02694702.